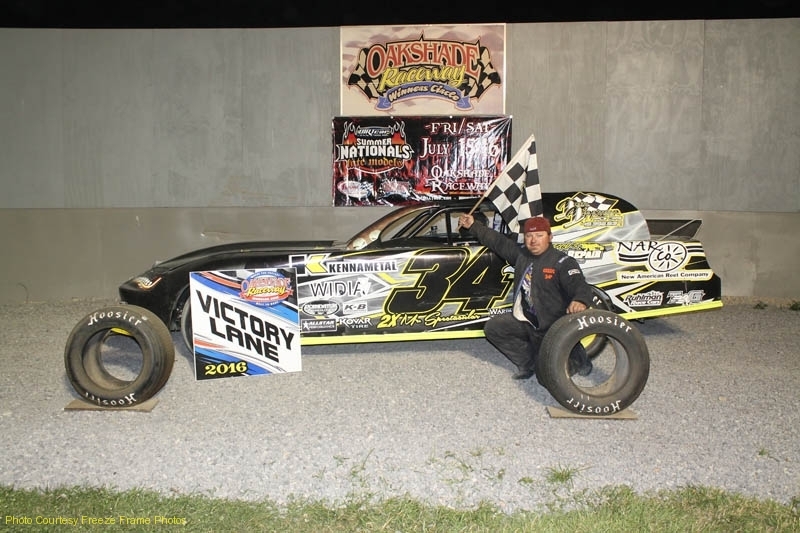 Billy Moyer Jr. out of Batesville, Arkansas, added his name to the elite list of Barney Oldfield Race winners at Oakshade Raceway on Saturday night. 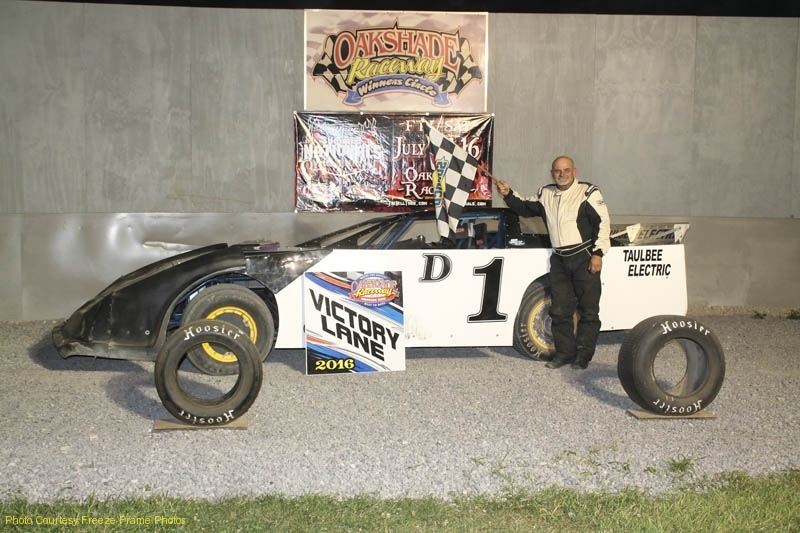 Steve Kester ran strong the first handful of laps of the 40-lap 27th Annual Barney Oldfield American Late Models Series feature event. 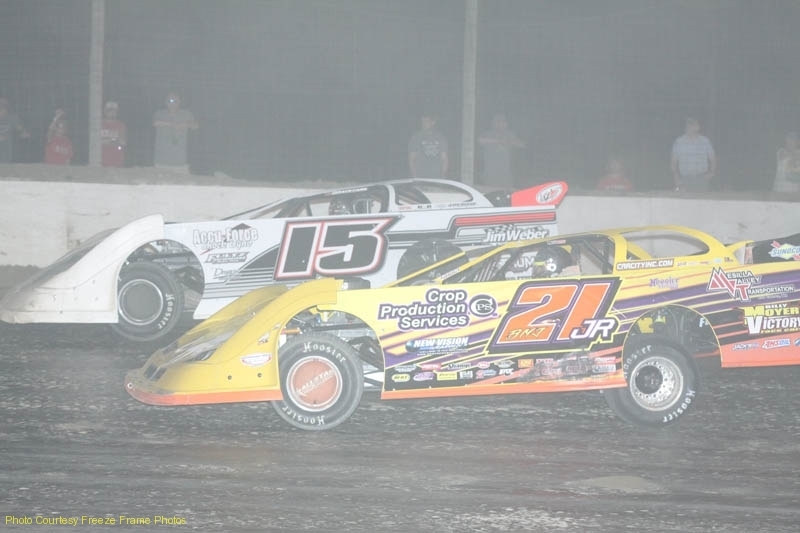 Moyer started inside the second row and was unable to gain any ground early. He ended up spinning in turn four causing the field to scatter around him. Moyer was able to keep his car moving, but another car came to a stop after spinning to avoid Moyer’s to bring out the yellow flag on lap five. Jon Henry restarted second just ahead of Moyer and darted past Kester to take the lead. 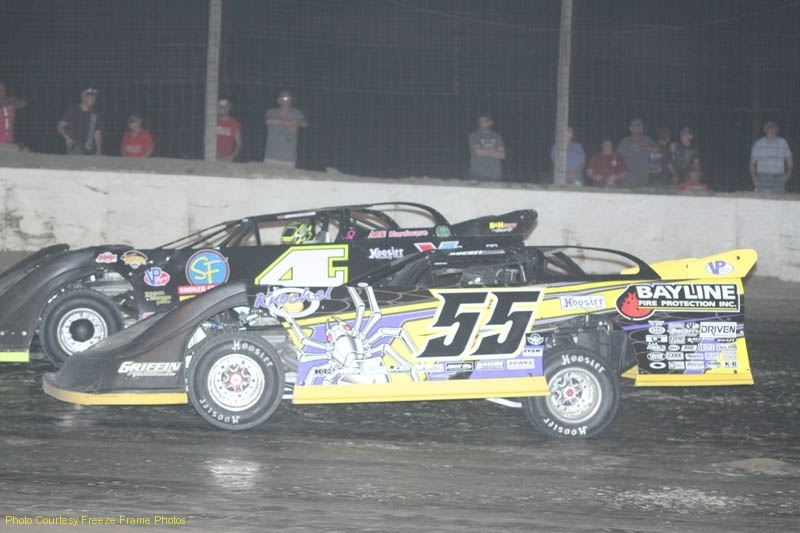 Henry opened up a huge lead over the rest of the field and began to work through lapped traffic when Moyer found a line his car worked in and began to close in. Moyer took the lead on lap 24 and carried it all the way to the checkered flag to win the $5,200 check. Henry and Cody Mohoney battled hard for the second position with Henry coming out on top. 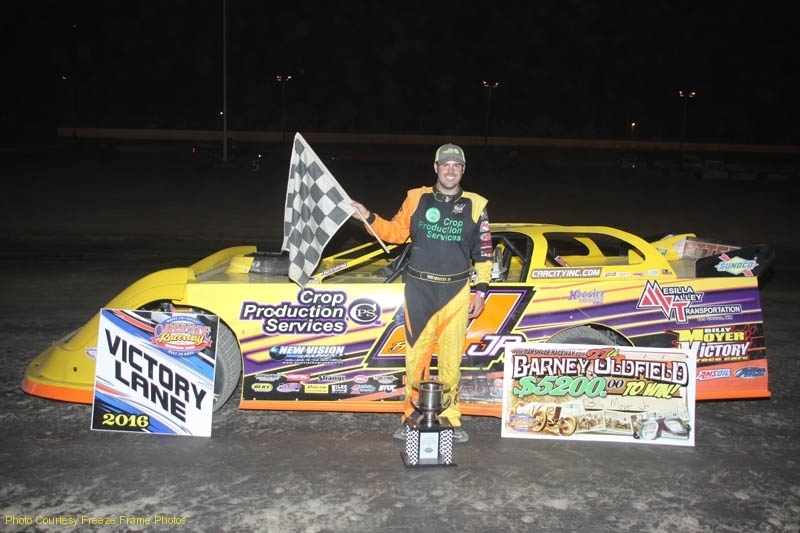 Last year’s Barney Oldfield Race winnner, Jeep Van Wormer, finished fourth with Houghton Lake, Michigan’s Dona Marcoullier ending up fifth after starting 13th. Bruce Stuart opened up a big lead early in the UMP Sportsman feature until a caution on lap eight after Joel Morton and Billy Brown got together. 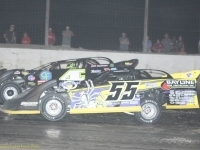 Lambertville, Michigan’s Joe Derbeck had a good restart and took the lead away from Stuart. Jamie Grochowski got by Stuart for second and pressured Derbeck for the lead the remainder of the race. 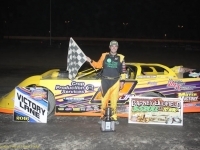 Despite a few late cautions, Derbeck was able to hang on for his first feature win of the season with Grochowski settling for second. 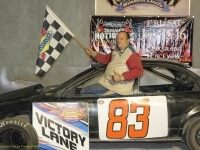 Bob Gregory got by Stuart to finish third with George Lindsey fifth. 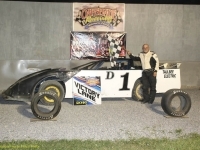 Defending Bomber Track Champion Gregg DeTray started on the outside of the front row in the Bomber A Main and proceeded to lead the entire race distance. DeTray from Swanton, Ohio, opened up a huge lead until a caution on lap 11 tightened up the field with last week’s feature winner Jeff Foks Jr. right on his rear bumper in second. 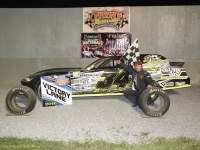 DeTray went on to to pick up his first feature win of the year. 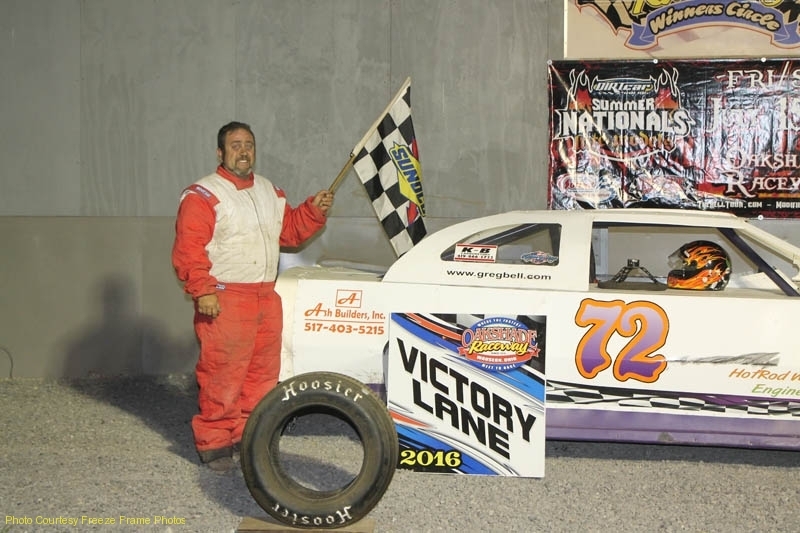 Foks held off a hard-charging Craig Dippman for second with Tim Murphy and Roscoe Stetten the rest of the top five finishers. 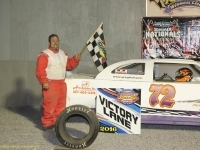 Brogan Rehklau started on the pole of the Sport Compact A Main and managed to fend off Richard Riffe to lead lap one. Riffe and Rehklau raced door to door for a few laps with Riffe eventually getting the best of Rehklau. 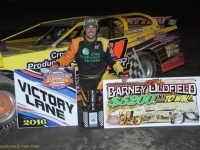 The Toledo, Ohio driver went on to win his fourth feature of the year with Cory Gumm getting by Rehklau to finish second. Paul Miller was fourth followed by Jeff Foks Sr. in fifth. 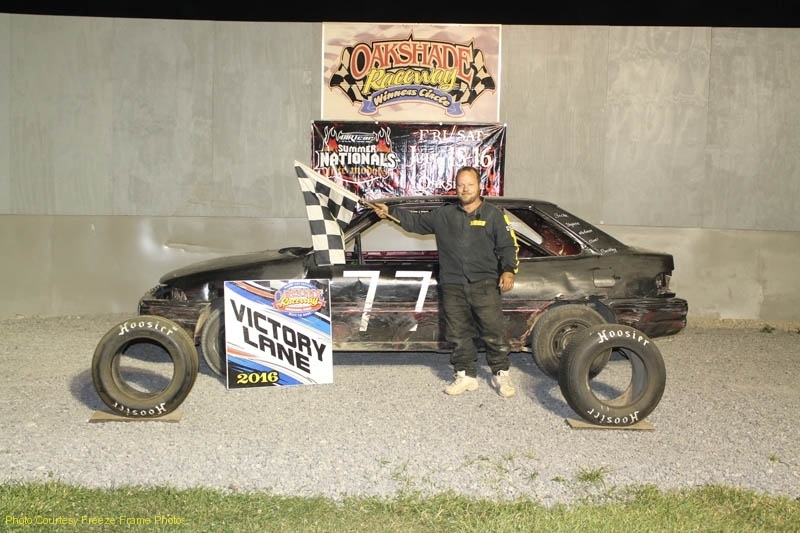 Rick Dixon took the lead from Dan Shaffer on the second lap of the Bomber B Main. A lap four caution slowed things down and put Rob Price just behind Dixon for the restart. 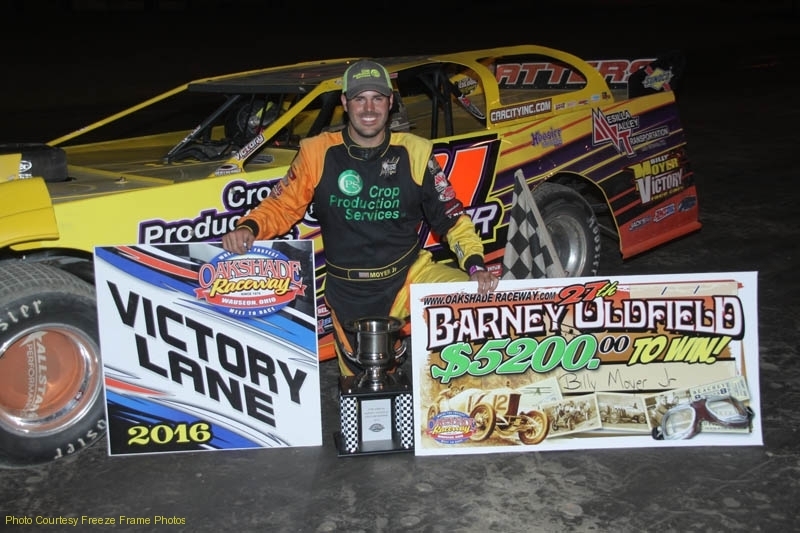 Price from Morenci, Michigan, had started deep in the field, but found himself side by side with Dixon racing for the lead once back under green. Finally, Price took command on lap nine and went on to lead the final three laps en route to the victory. Dixon finished second followed by Shaffer, Chris Henry and Garrett McClain. 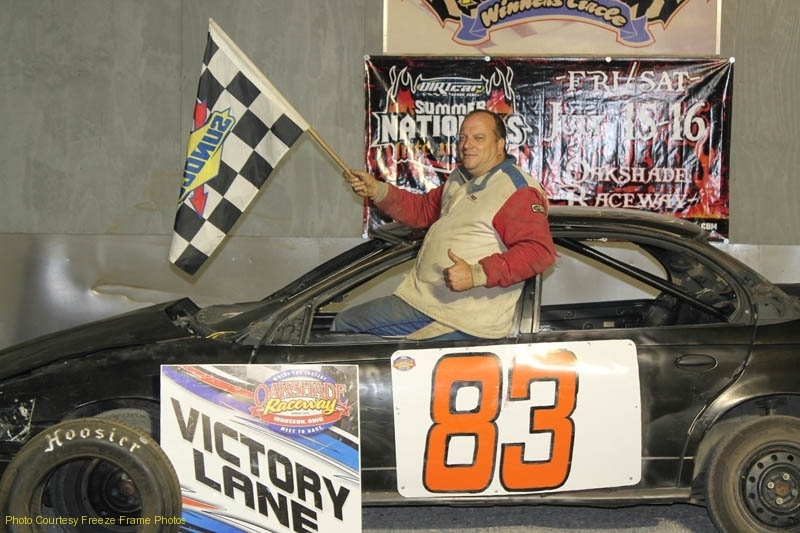 Jeff Goodman from Wauseon, Ohio, dominated the final race of the night, the Sport Compact B Main. He grabbed the lead after starting on the outside of the front row and ran the high line all the way to the checkered flag. 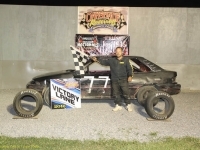 Clinton Urban worked his way through the field to end up with a second place finish followed by Devin Goodman, Rick McDaniel and Cole Walbolt. 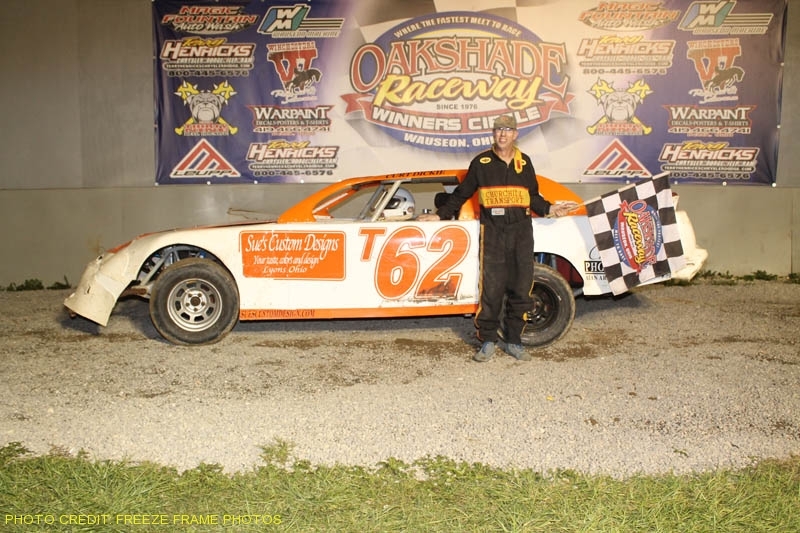 The Sportsman class takes center stage Saturday, June 25 at Oakshade Raceway with the Sportsman Twin 25s which will feature two complete 25-lap feature events. 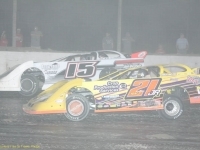 In addition, there will be UMP Late Model, Bomber and Sport Compact racing action. Gates open at 4pm with racing at 7pm.